OUT IN THE SILENCE is an Emmy Award-winning film and grassroots engagement campaign dedicated to increasing LGBT visibility and promoting dialogue and action to strengthen the struggle for justice and equality for all. 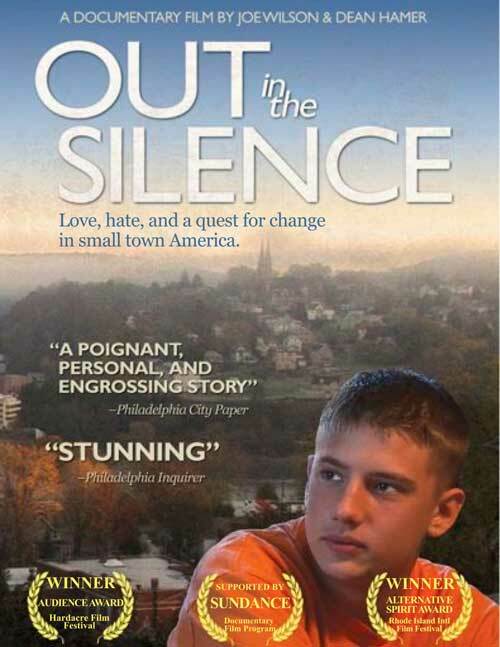 In addition to community screening events in towns large and small across the country, the campaign sponsors the OUT IN THE SILENCE AWARD FOR YOUTH ACTIVISM, an annual program to honor courageous and unheralded young people who are leading the way in making schools and communities safe from bullying and welcoming for all, especially in places where silence and indifference have rendered LGBT youth and their allies invisible, marginalized, fearful, and powerless for far too long. Winners will be announced in October in The Huffington Post and receive awards totaling $2,500. They will also have a chance to be featured in Out Magazine's OUT100, a list of "the year's most influential people in gay culture." Your generous support will help continue this important work. Thank you.